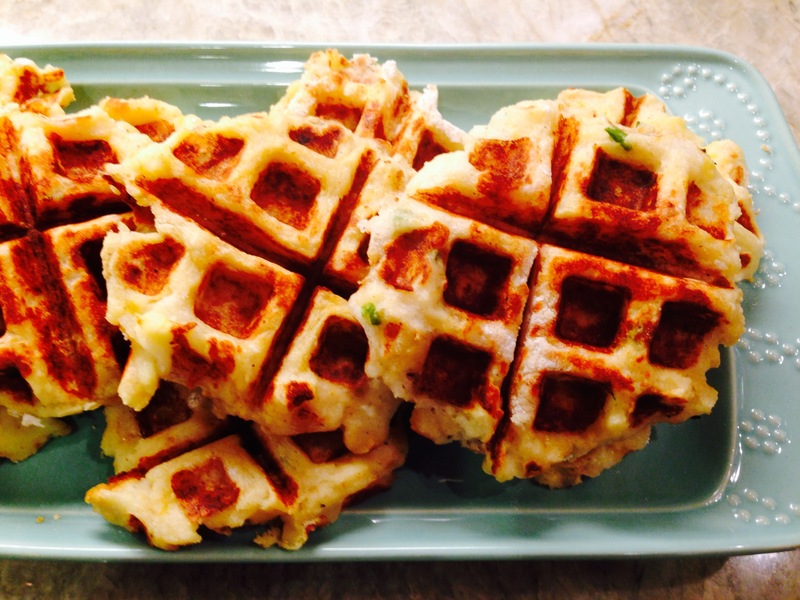 Published on December 17, 2014 in Recipes. 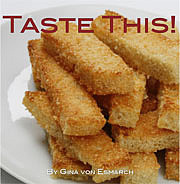 0 Comments Tags: latkes, Mashed potatoes, potato, potatoes, vegetarian, vegetarian recipe. 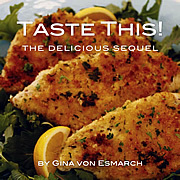 Published on March 1, 2013 in Recipes. 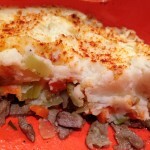 0 Comments Tags: Mashed potatoes, Roasted Lamb Cottage Pie. For a while I was fortunate enough to live in New Zealand on two separate occasions. As a destination it is everything you would imagine it to be – beautiful countryside and topography (black sand beaches, lush green ferns, sea scapes galore), wonderful people, amazing food and the list of accolades could go on for pages. There are so many things that I think back on fondly from my time spent there, it seems impossible for me to forget how special of a place it remains in my heart. Amongst the foodie things I vividly remember were the oh-so-delicious savory pies. New Zealand’s meat pies were a weekly favorite (along with flat white’s – Google it!). While this recipe isn’t quite the pastry laden meat pie variety I was referring to, it is very reminiscent of days gone by. 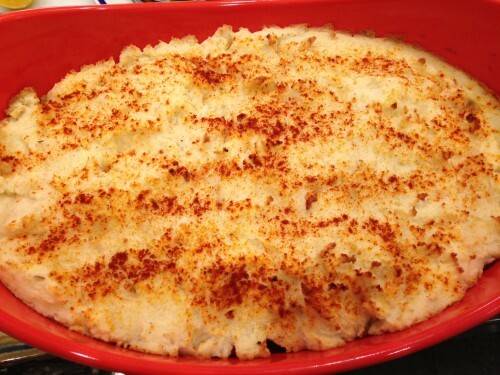 Cottage Pie is a wonderful way to use up holiday left overs, or if you are like me, setting your sights on this dish is a great excuse to cook lamb. In a large Dutch oven (or oven proof pot), heat the olive oil over a medium heat. Season the lamb with salt and pepper to taste. Add the lamb to the pot and cook turning regularly, until evenly browned. Remove lamb from pot and set aside. Add the onions and fry for 5-8 minutes, or until golden-brown. Then add the garlic and rosemary sprigs, stirring until combined. Lastly return the lamb to the pot and add the red wine and stock. Place the pot in the oven and cook, uncovered, for 2 hours, or until the lamb is tender and the top is crisp. While lamb is cooking begin preparing the vegetable layer. In a large pan add the olive oil and saute the onions for 5 minutes on medium heat, stirring regularly. 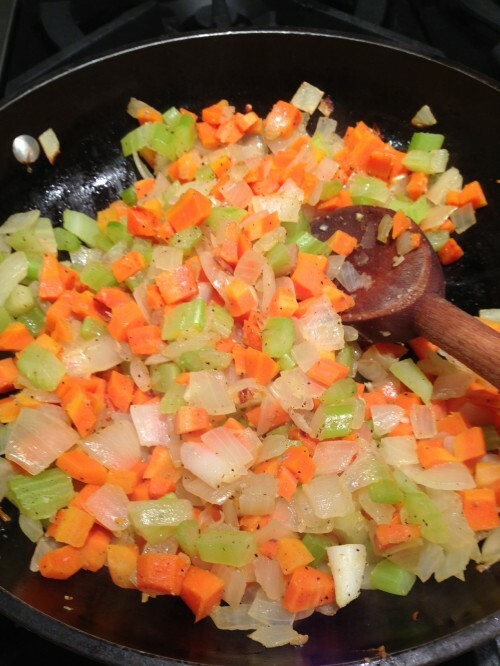 Add the carrots and continue cooking another 10 minutes and lastly add the celery. Cook an additional 5 minutes. Salt and pepper to taste. Set aside. 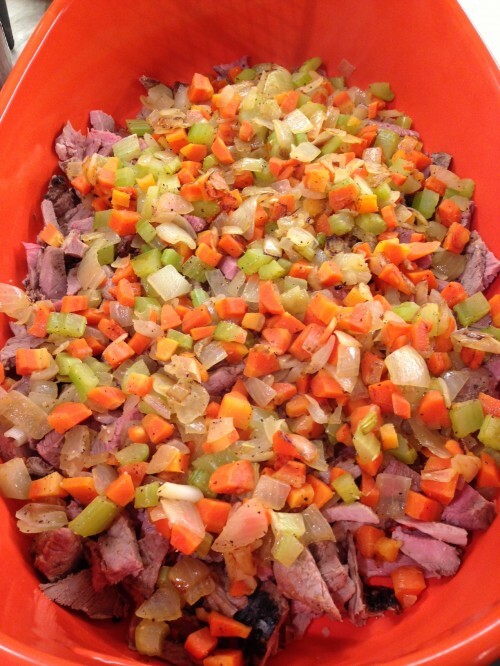 Remove the lamb and onions from the cooking juices and set aside (keep warm). Strain the cooking juices into a saucepan and heat over a low to medium heat. In a small bowl, mix together the flour and butter until well combined. Whisk well and then add it into the strained pan juices. Continue to whisk until the mixture forms a thick gravy. Set aside. 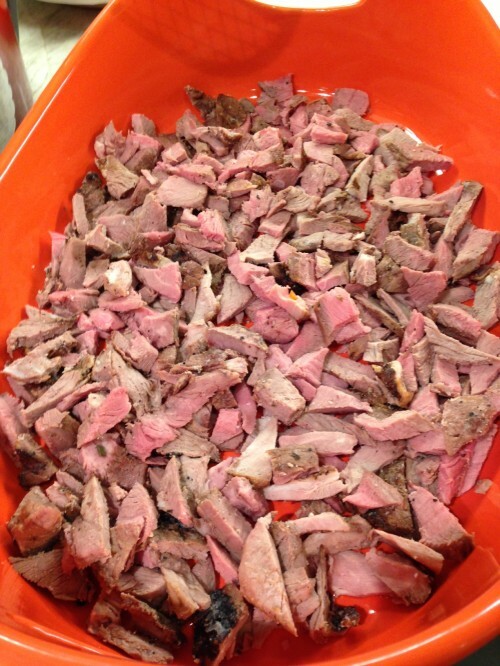 Cut the meat into large pieces and place lamb the bottom of a large baking dish. Next add a layer of the cooked vegetables. 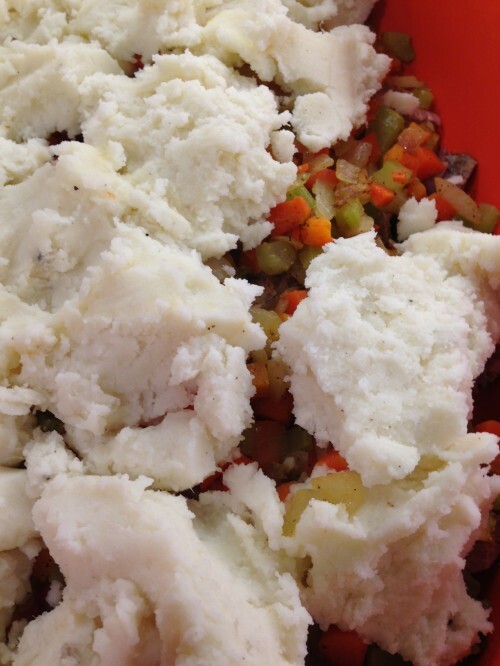 Boil the potatoes in a pot of salted water for 12-15 minutes, or until tender. 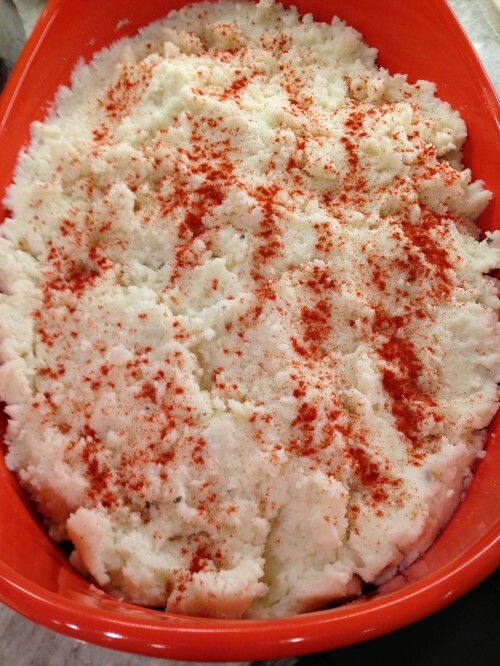 Drain well, then return the potatoes to the same pot and mash the potatoes until smooth. In a small pot, warm the milk over a low heat, then add the milk and the butter to the mashed potatoes and mash again until smooth. Season, to taste, with salt and pepper. 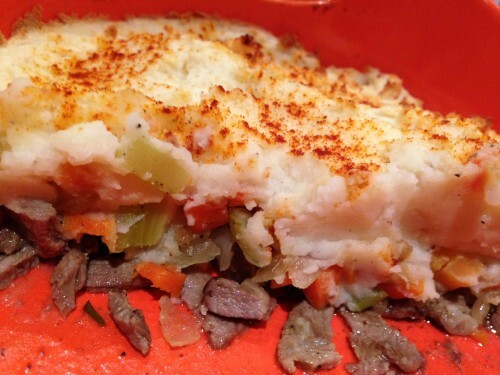 Spoon the mashed potatoes over the lamb and vegetable filling. Sprinkle with paprika for color. Bake at 325 degrees until hot and golden brown on top. 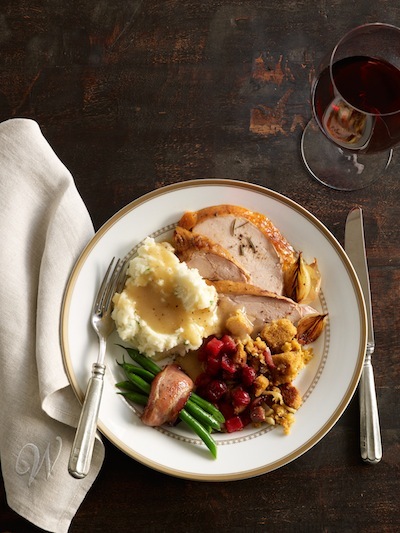 Warm gravy and serve on the side.